I love the marker for tracing around the templates. 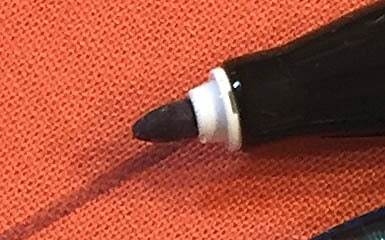 The marker nib easily glides along the template edge. The marker is my fav for this specific task. 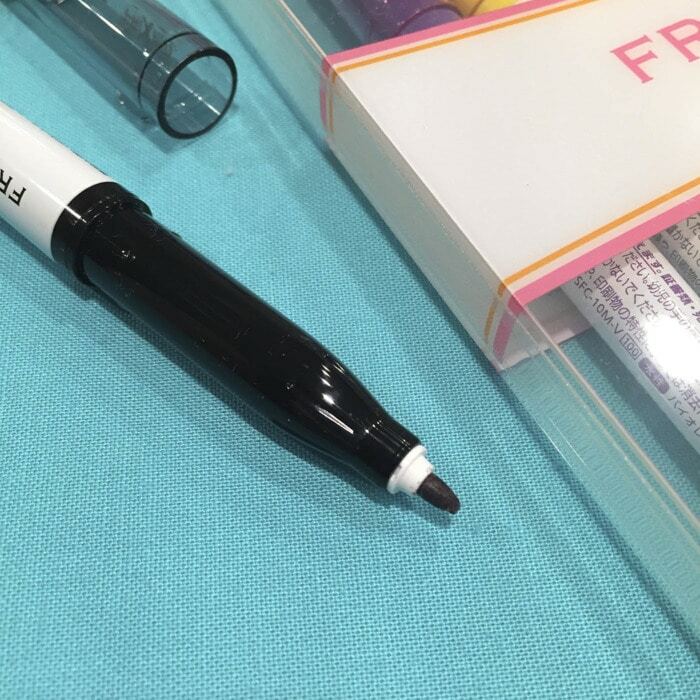 The marker makes a big fat line, compared to most traditional marking tools. 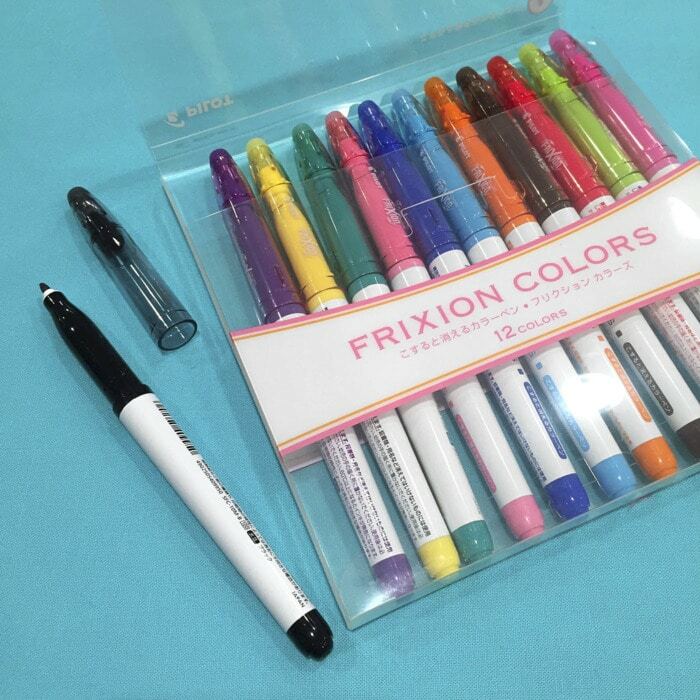 Frixion pens/markers have a chemical in their ink that allows them to ‘disappear’ with friction. Friction creates heat. Heat from an iron will make the line disappear, too. So, make your mark, then use the eraser (generating friction) or press/steam with an iron and the ink will ‘disappear’. Be mindful that the chemicals/inks are still there. They could reappear when exposed to cold. They could leave a ‘ghost’ mark. Like with any other marking tool – test first.